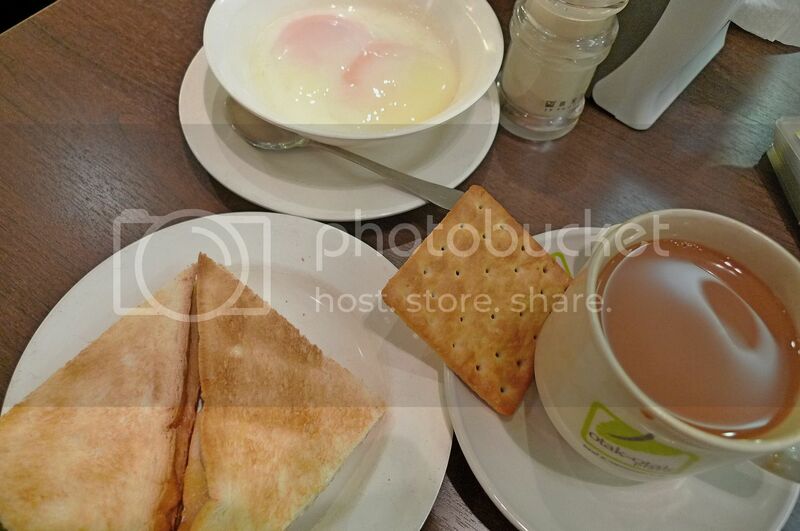 Before we drove up Genting Highlands, I and my friend Ed decided to have our breakfast at Otak Otak Place in 1Utama. We chose to go there as they were having this breakfast set promotion at RM5! Ed and I ordered the same set, which was toasted bread with butter and kaya, half boiled eggs and coffee. The cup of coffee came with a piece of cracker too. At RM5, it was worth it as ordering these 3 items would cost about RM8 at the normal prices. I love the toasted bread! Well, it was way better than the toasted bread I had at OldTown White Coffee! I would say after eating at places like Otak Otak Place, PappaRich and TC Toast & Coffee, OldTown's food is the absolute worst! 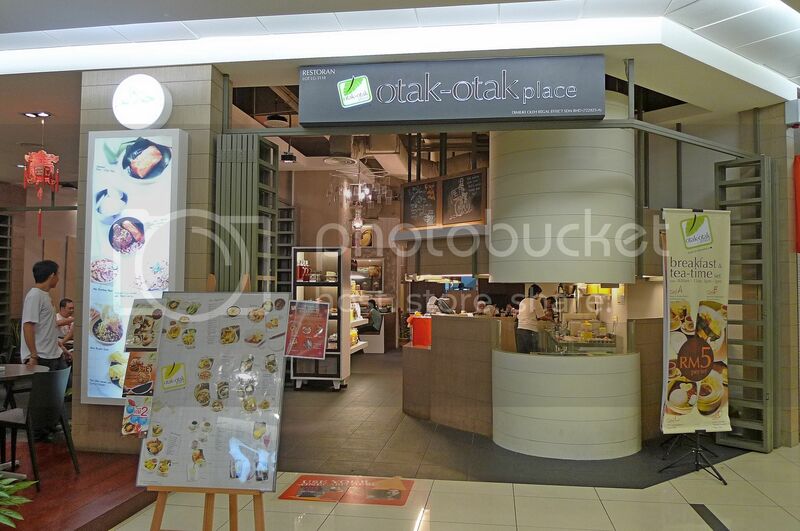 Otak Otak Place also have a nice interior. Look at this bicycle on display there! 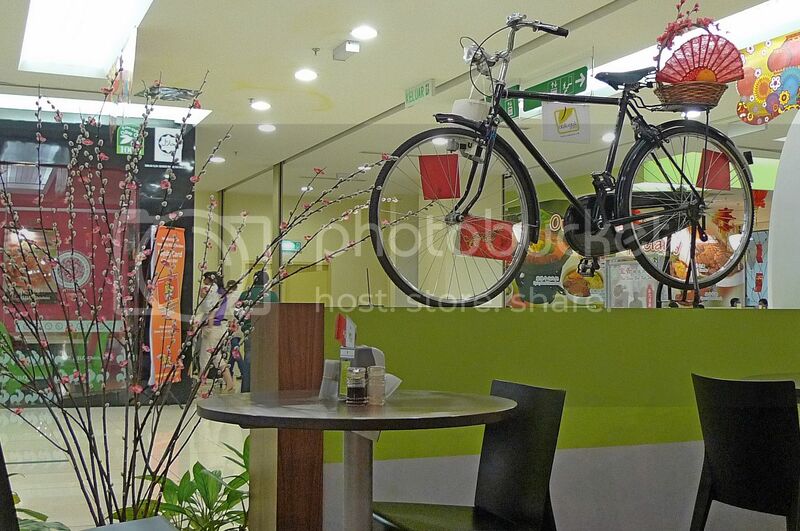 I just realised they have a bicycle on display in every one of their outlets. I have been to the outlet in Tropicana City Mall and they have even more things on display there! I even saw a pack of Happy Families cards on my table but we did not bother to play it. In fact, I don't even know how to play this card game! 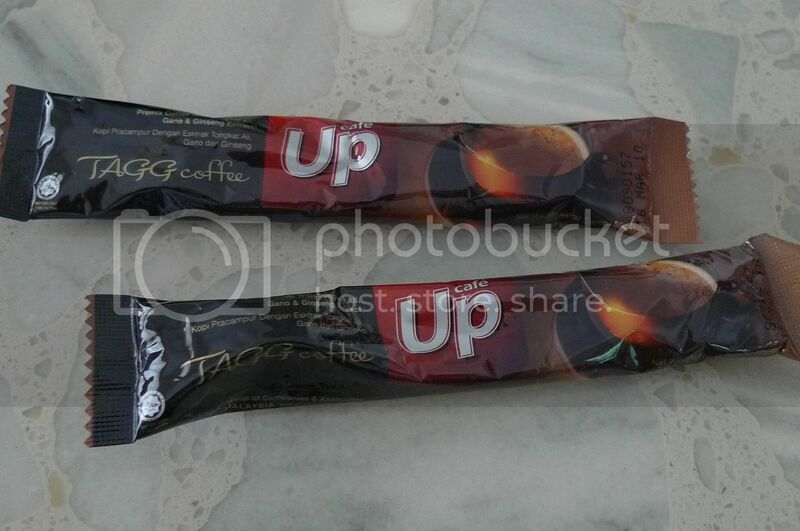 Before leaving, we were given 2 complimentary packets of premix coffee with tongkat ali, gano and ginseng extract. Nice! After breakfast, we drove to Genting Highlands. Or rather, Ed drove while I sat there and enjoyed the view. It was a breeze driving there as there were not many cars. Well, it was the second day of Chinese New Year so I guess most people were already back in their hometowns. Well, how wrong I was! 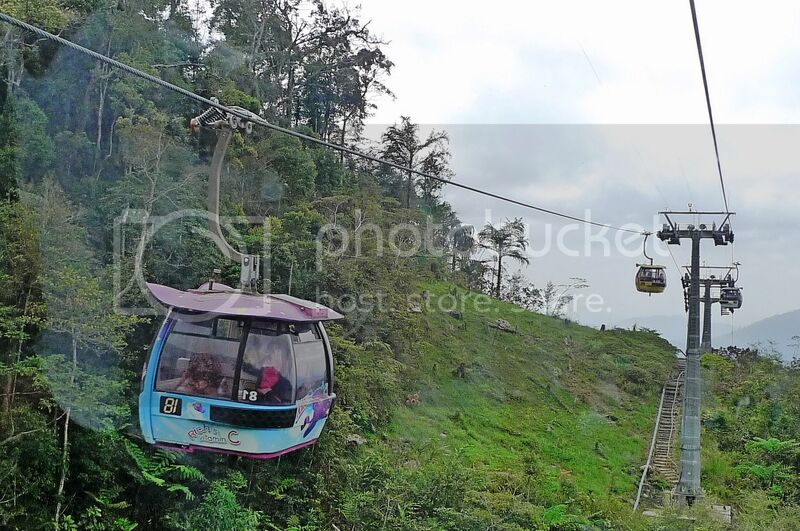 When we reached the Skyway station midway up Genting, we were shocked to see the long queue of people waiting in line for the cable cars! There were many foreign workers from Bangladesh and Indonesia. I guess they must be having their day off and took the opportunity to visit Genting Highlands! 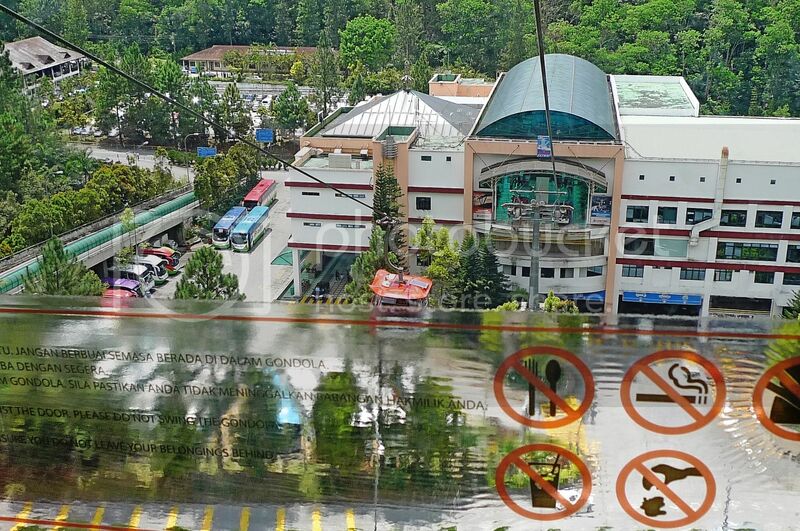 Moral of this story : Don't go to Genting Highlands on a public holiday! Or at least, don't take the cable car ride. 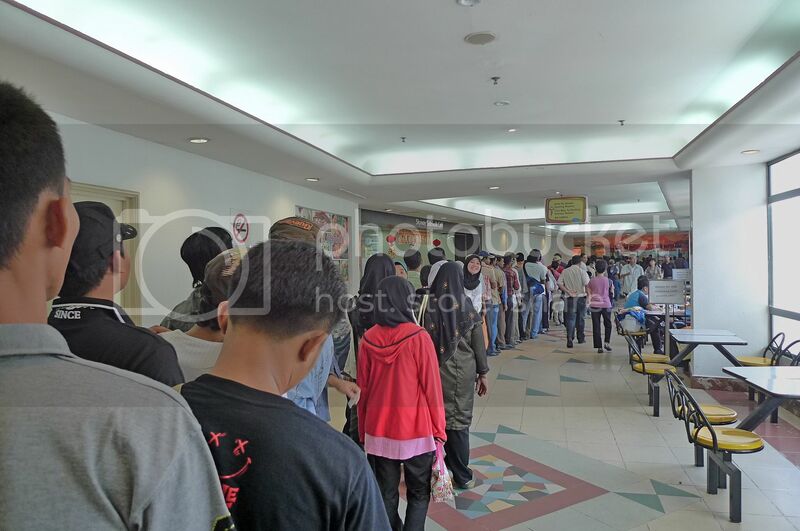 If you are a regular reader of my blog, you will know that I hate queues! Well, as much as I hated queues, I did not ask Ed to drive us up because his car was a brand new car and had yet to reach 1000km in mileage! I did not want to strain his new car too much! So we had to tolerate for almost two hours lining up for the cable car! I did not know how I survived that 2 hours but I did! I guess with a friend as company, it was bearable. Finally, we got onto the cable car. They called it Skyway Gondola which sounded nice, haha. 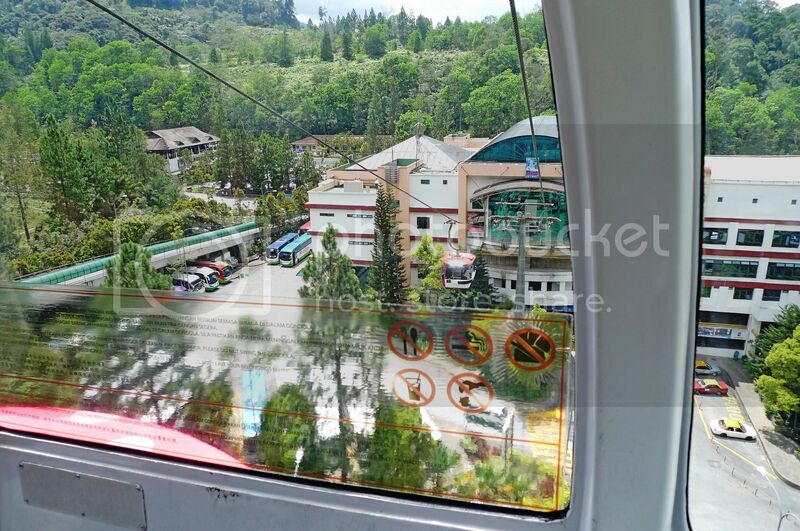 Now please excuse me if I have to flood this post with pictures taken from inside the cable car as I have not sat in this Skyway Gondola for more than 10 years! LOL! 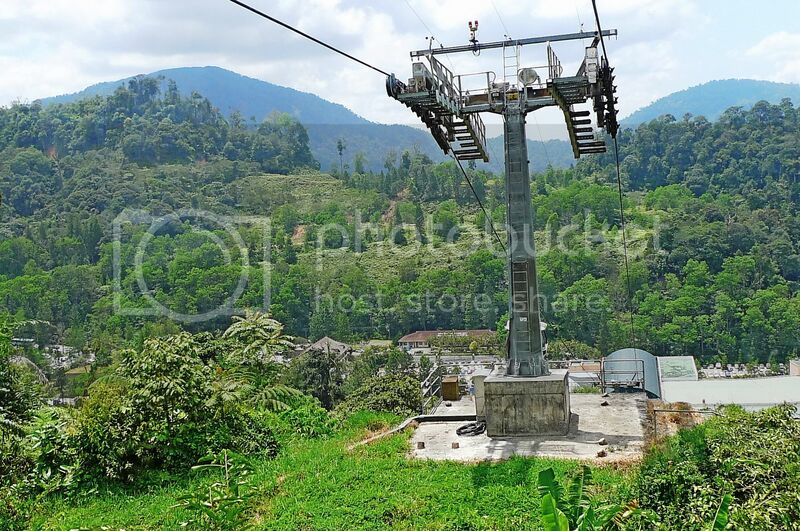 Each cable car can only take in a maximum of 8 persons. So there were 6 other people with us. Not much room to move around to take pictures! From this photo below, you can see that we were leaving the cable car station. I was surprised that as a person who is afraid of heights, I did not feel any fear at that time! Maybe my stint at FRIM's suspended bridge had cured me. Haha! Yippie! We were on top of the world! Then Ed pointed out to me our cable car number. Wow! It was number 48!! In Cantonese, 48 sounds like "sei fatt" or continuously getting rich! What a prosperous feeling up there in the sky! And coincidentally, it was the second day of Chinese New Year. Woo hoo! My friend would end up using this number later on in the casino but that will be another story. I really enjoyed the ride. Well, maybe not as much fun as 10 years ago, when I was much younger, but it was still fun nevertheless. 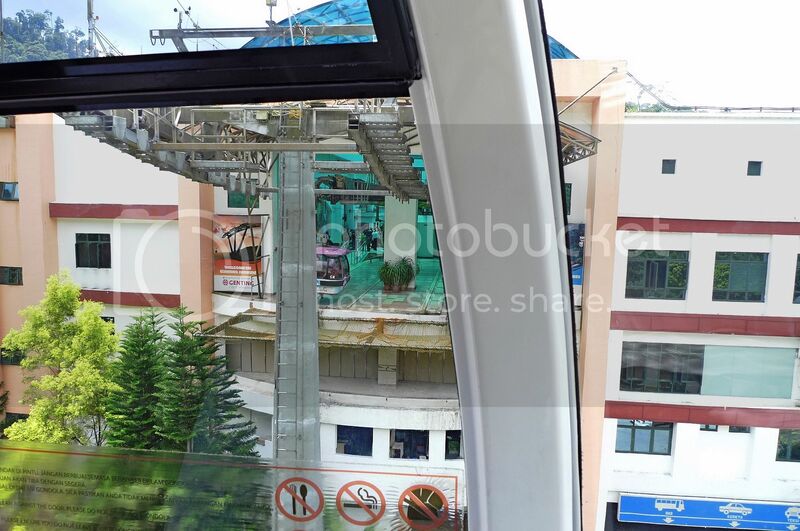 By the way, did you know that Genting Skyway is one of the fastest cable car in the world running at 6 metres per second and also the longest in South East Asia at 3.38km? Coming Up In Part 3 : My Lunch At 6,000 Feet Above Sea Level! Up coffee with tongkat ali & ginseng.. careful nose bleed oh..
guess you would be tweeting non stop during the 2 hours wait. What a lovely country and post! I have never been to Genting, maybe we should visit before we relocate to the Philippines... think think. Btw, I love the new look! haha...got prize for top 3 answers ah.. 9.39 around 10 min.. but the last time i sat, it was around 15-20 min ride.. and guess what? i have to close my eyes all the way.. sigh..fear factor! Wow...two hours queuing up for the cable car is just too much. I wouldn't have stuck around for that. I don't travel to Genting during CNY but I presume the place must be packed like sardines huh? I hate queues too, just like you. To the extent that when I wrote my thesis in uni, I wrote about queueing and efficiency. Haha. 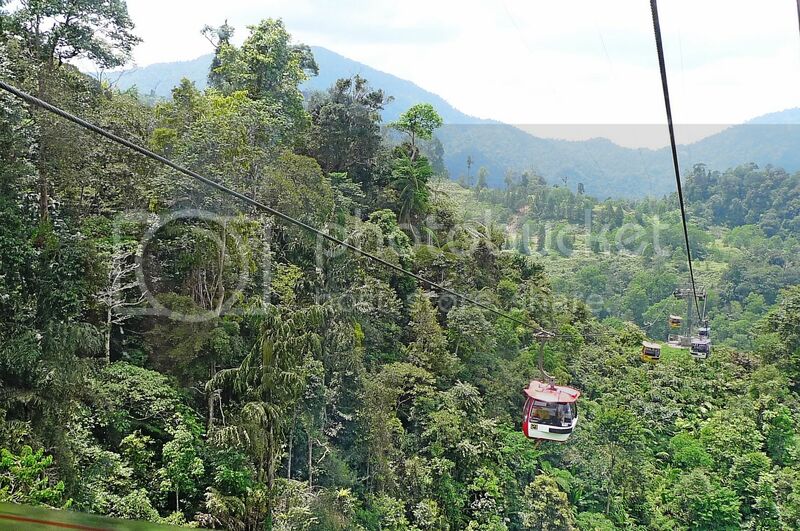 I have been up to genting countless of times, but have never taken the cable car. I thought the cable cars are supposed to be slow so we can enjoy the view. Maybe Genting made it fast so anxious people can reached the casino quick! and we couldn't get return bus ticket back to KL, forced to take those taxi touts which charges us RM30 downhill per person!! crazy eh?? but no choice we have to pay..
actually really nothing to do up there in genting.. i don't gamble, food are expensive and not nice, and those rides are not interesting at all to me.. so i don't really have the urge to go up there..
ok, now back to your trivia!! the skyway cable car.. yes, the total journey is 3.38km, the speed is 6 metres per second but to be precise that's the maximum speed only..
You hate to Q yeah but very considerate as not to 'over rev' your friend's brand new car to bite the bullet. Yeah Cukup kawan..cheers. But siao-la! What a long queue! so, you must have changed your blog layout while waiting, huh? Mathematically, it should takes 9.38888 minutes. But adding up your weight factor, (you know la, you're not light), so of course got some effect to the speed. so 9.38888 x 1.6913 (weight factor), doubling the time to 15.88 mins, to be exact. Correct anot? anyway, 15.88 sounds like is a good fengshui number, right? Haha :D People are using such a weird name as their cafe's name? Otak-otak place? :p Must be attention-grabbing aye. Is it because the Old Town there is too busy? Bro...gimme the coffee. :p War...so nice huh they even give you free coffee. Maybe I should pay them a visit too. Oh the egg sure looks good too! Wah wah... Go genting never invite me? hahhaa kidding! The queue is so long! If I see such a queue, I would of given up! Gosh! Must be hot days and all, everyone going Genting for cool air? Oh btw, love the new layout :). 9.38888 mins didn't seem that long but the long wait was truly something to test one's patience - which I also had the pleasure of experiencing several years ago on a Labor Day holiday. We also waited for more than two hours and the queue wound right down to the level below! And then one time we (with friends) drove up (also on a public holiday) and spent more than two hours in the jam coming downhill! Ridiculous, but true. Lesson learned - never go up there on a public holiday if you don't want to be caught in traffic jams and food queues. Great shots, Foong. That must have been clear weather up there. Thanks for sharing. Btw, that's a good price for the breakfast set. I think this is the trend now. wah...lunch at 6k feet...wat an experience! The queue was sooooo long! And then when went inside the theme park, had to queue some more. Madness! I was there on Wednesday and Thursday - lucky I didn't actually go on CNY, LOL. Cool. Like this simple blog template. I miss the cool and refreshing mountain air of Genting Highlands. It's scorching hot over here in SG. 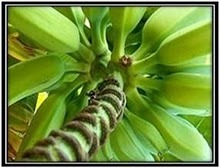 bananaz, congratulations!! You are the first person to answer correctly! Yes, it's 9.39mins! Although in reality, I think it was about 12 mins. jade, thanks for the wishes! Yes, I think you should visit Genting Highlands before you move to Philippines! mei teng, well, we were already there and there's no other way to go up but using the cable car. But it didn't feel like 2 hours to me actually, more like 1 hour or so. Maybe it's not that bad when you have a friend to chit chat with. It's advisable not to go Genting during public holidays, but when I was up there, it was not exactly packed like sardines, still quite OK to me. So you hate queues just like me? Gimme 5! Haha. cheahs@n, I guess we didn't do any U-turn cos we had already made up our mind to go there. You know, once you make up your mind, you won't want to change or quit. Besides, I wanted to enjoy the cool air! Going back down to KL back to hot and humid weather just doesn't sound like an attractive option, haha. And of course, as a blogger, this seems like an interesting topic to blog about, so no way of doing any U-turn. Haha! Actually, midway queuing, we were given seats! How about that? Haha! There were stops in the middle? Where got? 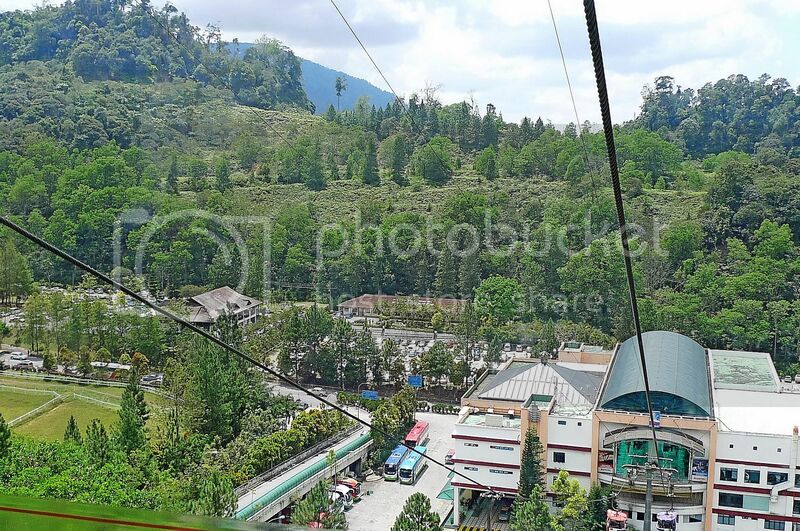 From where you took the cable car ride? Awana? I took it from GohTong Jaya Skyway Station. wah, lucky number u had there too! SK, haha looks like you don't like Genting Highlands! For me, I don't mind going there just for the natural cool air and the mist! Love the mist! I don't fancy the rides and I don't really gamble too, and as for the food, some restaurants are not bad, though most are average. You know, I don't mind going to Genting just to sit and chill out at Starbucks and maybe have a cup of coffee and chit chat with friends or do my blogging. Haha! As for changing of my blog's layout, it'll be mentioned in the last part, which I myself am not sure is Part 3 or 4 or 5, maybe 6? Haha! Yeah, you got the time quite correct, haha! angie tan, no it's only 12 mins. Yeah, horribly long queue, but I survived, haha! No lah, how to change blog layout while standing in the queue? LOL! saucer, haha! Where you pluck that weight factor numbers from? And I'm quite light you know, haha! How about the other passengers? 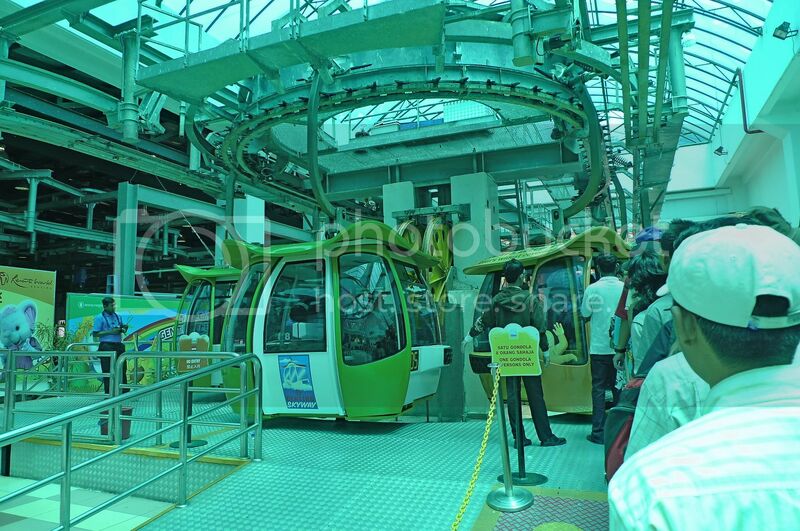 There are 7 others inside the cable car including my friend - you didn't add in their weight factor? LOL! rose belle, you are scared of height too? Welcome to the club! Haha! The coffee with ginseng, tongkat ali and ganoderma is not bad actually! Maybe I should send you one packet, haha! No, it's not because OldTown is too busy. It's simply because their food quality is just poor! You only have OldTown in Melaka? No PappaRich or others? No wonder you all like OldTown then, haha! Yeah, a lot of foreigners there. Like a culture shock to me, haha. Train the car? Better not lah! It's my friend's new car - and it's not advisable to stress the car too much during the first 1000 km. ladyviral, oh yeah the OldTown's toast has very little butter. So kiam siap, haha. happysurfer, yeah the waiting was far longer than the ride! Haha! So you experienced it too? Good! Now we both learnt a lesson ie not to go Genting during public holidays!! LOL! you don't know how to play Happy Family meh? Genting has never been quiet. next place to snap: genting highlands! not fair, i should also be given the prize for i've got the correct and realistic answer..
please see here for the official answer..
manglish, so easily give up? Haha! Okay well Ive seen people have a regular layout on their page but when you go to their blogs they have a different layout. How do you do that? SK, Wah! You even got the official answer to show me, haha! Must have done some research there? Hehe. OK, first, let me tell you this - life is definitely not fair! LOL! Secondly, if you read my question properly, I said "Using the figures I just provided above, how long do you think our cable car journey was?" Therefore, I expect the correct answer to be based not on the reality or even the official answer you pointed out, BUT on the mathematical calculation according to the figures I provided. 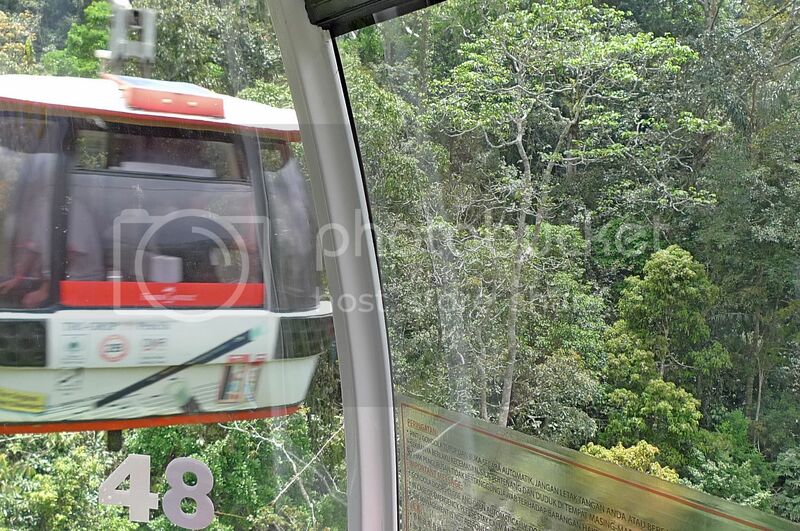 It would be different if I asked readers to "guess" how long our cable car ride was. This is not a guessing game, but a maths question actually. aiya... i miss the quiz! aiya... i always the last commentor ... rugi ni!!! So you have not actually started to tell us how you had changed your blog layout in Genting, haha! I think you have enjoyed the ride so much. I think the Kluang Coffee STation food is the worst! Have you try them recently? I was so horrified by the food especially the laksa! I loved the breakfast image !!! I really really hate queues too! !